Columbia River Brewing Company 4th year anniversary party on Friday, July 11th, 3pm to close, at 1728 NE 40th Ave. Live music at 7 pm. 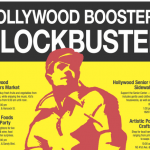 Hollywood Farmers Market Saturday July 12th 8 am to 1 pm at 44th and Hancock. Kids cooking demo 9 to noon. Whole Foods Block Party on Saturday July 12th 1 pm to 5 pm at NE 43rd and Sandy. Bounce house. Water balloon toss. Local breweries neighbors Alameda, Fire on the Mountain, Basecamp, and Hollywood’s own Laurelwood. 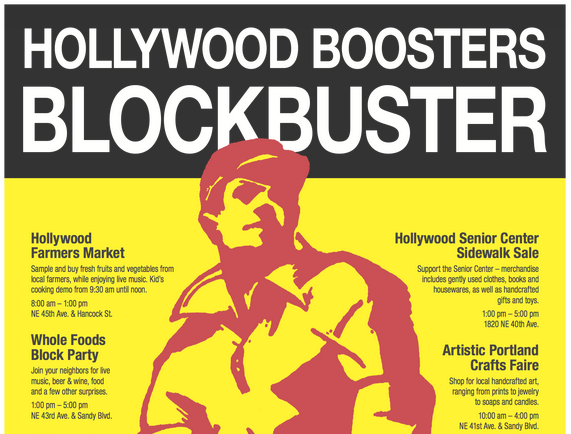 Hollywood Burger Bar celebrating 60 patty-flippin years with live music in the plaza. Saturday July 12th 11 am to 2 pm at NE 42nd and Sandy. Artistic Portland Crafts Faire at NE 41st and Sandy. Saturday July 12th 10 am to 4pm. Shop for locally made jewelry, prints, dolls, ceramic, etc. 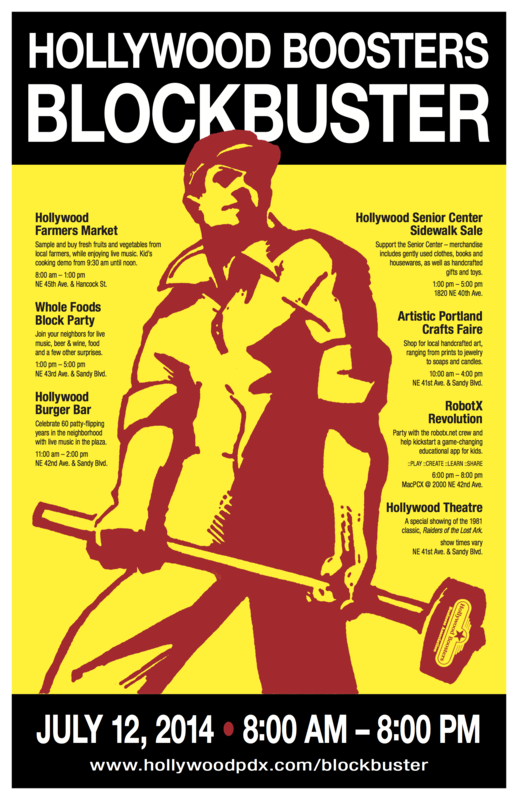 made by members of the Artistic Portland cooperative. Mother & Child Education Center Open House at 1515 NE 41st on Saturday, July 12, 10am-1pm. Expectant mothers come to our open house to Shop (at no cost) for baby clothing, maternity wear and supplies. We also have kid activities going on in our back area, refreshments, and guest speakers. General public is welcome to attend and get a tour of our Center and to learn more about our programs. Hollywood Senior Center Sidewalk Sale at 1820 NE 40th Ave. Visit and chat with friends. Buy hand-made gifts and gently used goods. Saturday July 12th 1 pm to 5 pm. Vive Fitness Open House Saturday at 4023 NE Hancock, July 12th 6 to 9 pm. Fun activities and door prizes. Velo Cult Open House. Grilling smores out front Saturday July 12th 7 pm till it runs out. At 1969 NE 42nd Ave.
MacPCX 3rd Year Anniversary – RobotX Revolution Kickstart Party. July 12th 6 to 8 pm. At 2000 NE 42nd Ave.